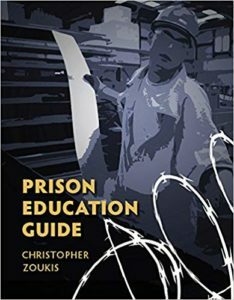 Christopher Hardy Zoukis has written several books that helps prisoners, families of prisoners and organizations that help prisoners. On this page you can learn more about these books or purchase them. The Federal Prison Handbook is the definitive guide to surviving incarceration in a federal prison. It teaches individuals facing incarceration, prisoners who are already inside, and their friends and family everything they need to know to protect themselves and their rights. College for Convicts: The Case for Higher Education in American Prisons highlights the various benefits of college education for prisoners, with proven data highlighting how educating prisoners brings a reduction in crime and social disruption, reduced domestic spending and a rise in quality of life.